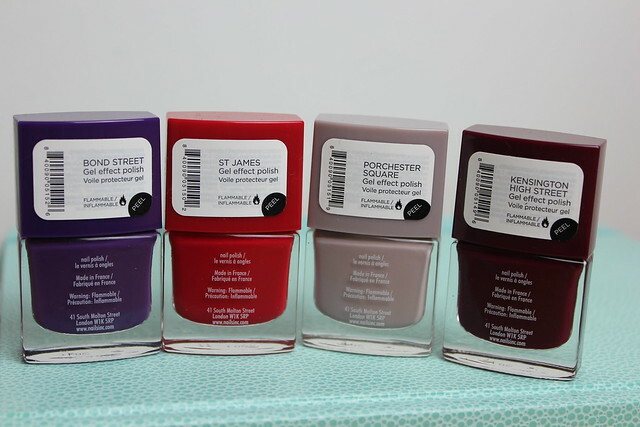 My top pick of the bunch would have to be Porchester Square – the gel version of one of my all-time classic favourites. 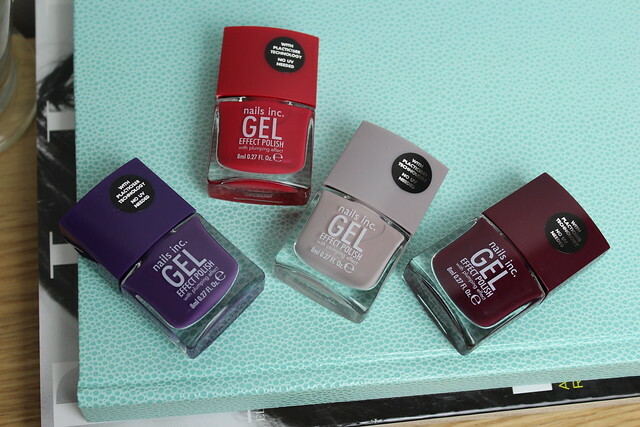 But all four shades are total winners with me and I really hope Nails Inc do expand the colour offering for the Gel Effect range as the formula is amazing. On the nail front, on a totally separate subject – I do need to find myself a new base coat as the one I was using and loving has been failing on me recently (peeling off or chipping in 24 hours with most polishes!) so I need to find a replacement…what’s your go-to base coat?! Gel nail varnish, like so many other innovations, has passed me by! I read your review and rushed straight out to try one from the Rimmel Salon Pro range. I really love the colors Porchester Square and Kensington High Street. I saw them at Sephora the other day and debated about it, but I ended up passing. After reading some good reviews, I may have to go back! I can’t even choose a favourite colour from these, they all look amazing! 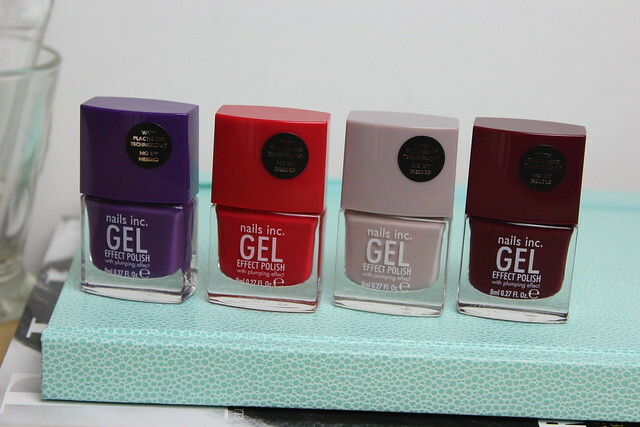 I’ve heard good things about Barry M’s gel polishes and I love the nails inc brand as it is so these sound just marvy! LOVE the Kensington High Street colour, I feel like I might actually go buy it right now, I have a date on friday and another on saturday with friends that this would be perfect for!